I loved this book. There is seriously no part about it that I didn’t like. If I could shout it from the rooftops I would. I’ve been telling every bibliophile I know how amazing this book is. I think this is the first time that I enjoy the sequel way more than the first book and I liked the first book! Sarah J. Maas has truly outdone herself with this book. 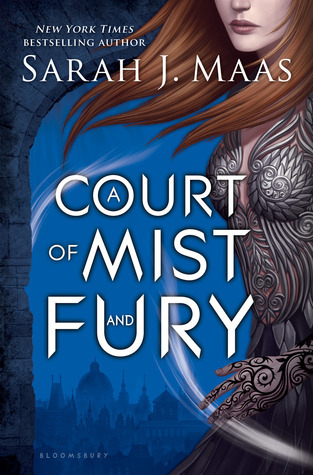 Rhysand is perceived as the enemy, specifically he is Tamlin’s enemy and given Feyre’s relationship with him that makes him her enemy as well. In A Court of Thorns and Roses Rhysand is widely known as a whore and traitor but towards the end of we start seeing the real side of him. Rhys, Lord of the Night Court, is willing to do/sacrifice absolutely anything for his people and when you see that in action it’s almost awe inspiring and this is a fictional character people! He sees a side of Feyre that nobody else gets, not even Tamlin. He treats her like an equal; with respect and an infinite amount of patience. We start to see the different sides of him: the side he shows his close friends and the side he shows the other Lords. He is one of the most complex characters I’ve ever read and Maas executes it perfectly. After the events Under the Mountain Feyre is left feeling broken. She doesn’t eat, can’t sleep, doesn’t trust anyone and seems to merely exist day to day without feeling or experiencing anything. Tamlin isn’t helping matters with his overbearing nature and need to protect her at all times. It isn’t until she goes to the Night Court that she seems to come alive again. She befriends people that have gone through great tragedy, much like she has, but has come out on the other end stronger than ever and she needs that kind of hope in her life. Rhys is a good influence on her. He understands her, not just because of the bond that they share, but also because he too has faced unspeakable things and is haunted by them. Rhys and Feyre compliment each other perfectly. Their chemistry is undeniable and the way he lets her do her thing is seriously #relationshipgoals. The whole cast of this books is amazing and the comrade they have is some of the best I’ve seen. This book wayyyy surpassed my expectations and I can’t wait wait wait for the next book! Definitely a 10/10 for me and one of my favorite books to date.